Apple's return volley to Microsoft's Windows Vista is a more ambitious release than Tiger. It is enough to win over Mac and Windows users alike. Last year, Intriguing Development came to one of our meetings and showed their teriffic Scrapbook program called iRemember. This week, they have released iRemember 2.1.1, an update to its digital scrapbooking software for Mac OS X that’s now compatible with Mac OS X v10.5 “Leopard.” A free update for registered 2.x users, iRemember costs $39.95. Upgrades from 1.x cost $9.95. iRemember includes starter templates, backgrounds and a clip art browser used to search through over 20,000 pieces of clip art included with the software. It’s designed to help users create digital scrapbooks using their own digital photos, laying them out, framing them, and adding digital embellishments. In addition to Mac OS X v10.5 compatibility, iRemember 2.1.1 adds bug fixes and performance enhancements. A free trial version is available for download. You can get the update at their web site. Q: Does Appleworks work with OS X Leopard? I just tried to launch it and it quits. . .
A: These symptoms are usually caused by the Recent Items folder, or less commonly, a full Auto Save folder. Follow these steps to empty the Recent Items folder or Auto Save folder. 2. Locate the Recent Items and delete the aliases inside it. 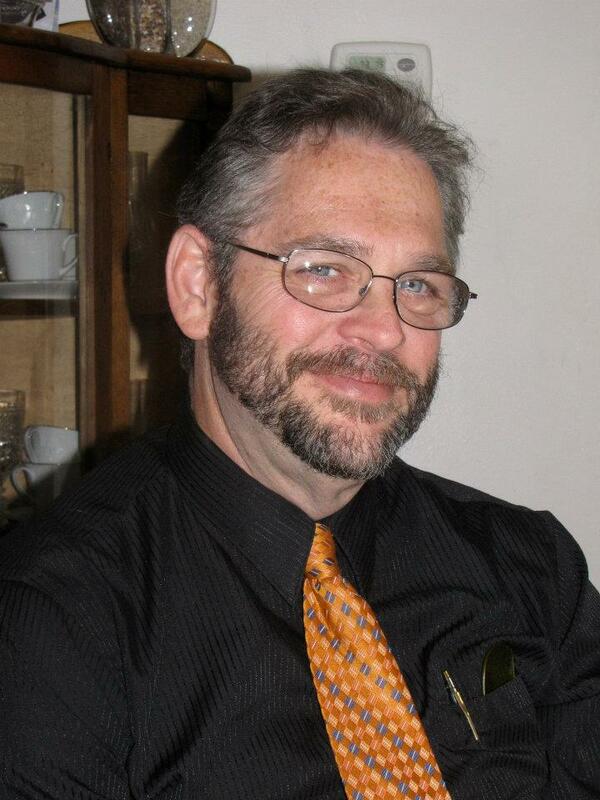 <YourMacintoshHD/Users/YourName/Documents/AppleWorks User Data/Starting Points/Recent Items>. 3. Locate the Auto Save folder and delete the documents inside it. 4. You must then disable these features of AppleWorks from the AppleWorks Preferences. a. In Mac OS X, start AppleWorks and choose the AppleWorks > Preferences > General menu. c. Select the Files option in the Topic popup menu. d. Uncheck the Auto-Save and Recent Items checkboxes. e. Click the OK button. I have been asked about .Mac syncing by a number of people who have upgraded one mac to Leopard but have another machine still in Tiger. This is a common situation when your Mac at work is not as up to date as the one at home. I have found that reseting the Tiger machine sync usually fixes the issue. Here is how to do it. 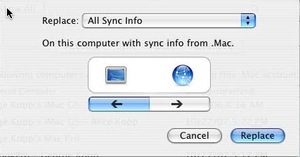 First, sync the Leopard machine to .Mac. It will be the master sync that you will then move to the Tiger machine. With that complete, on the tiger machine, gp to System Preferences, .Mac and select the Advanced Tab. Now select the tiger machine that you are working on from the list and press "Reset Sync Data". Bear in mind that the address book, calendars, and anything else you are syncing will be reset on the Tiger machine to match the Leopard machine. In the drop down that come up, be sure to select the sync as shown. This may not be the only way to accomplish this but it seems to work well nearly all the time. This will reset the data on the Tiger machine with whatever is on .Mac. Since you just synced with the Leopard machine, that will be what you end up with on both. After the sync is complete, both machines will match. Then as you make updates from either and sync, both should stay up to date. But what might I not like in Leopard? You have seen my top 5 and the discussion on those from Apple's website that have been posted in the last week or so. But I am sure you may ask, with all these great things, what may I not like in Leopard. Here are a few things to consider. Classic - With Leopard, even if you have a PowerPC based Mac, Classic OS9 applications cease to exist. That's right, OS9 is finally gone. If you still have apps that only run in OS9, you better be thinking about your future plans. Leopard requires more RAM - Apple says Leopard needs at least 512Mb but if the usually difference between required ram and what you really need exists, plan on 1GB to really make it usable. Time Machine needs a separate disk - Yes you could partition your drive into two parts but what sense does it make to use a backup system that backups your valuable data to the same drive. That defetes the purpose. Purchase a $100 external drive and call it good. Quick View is still a View - Sure, with quick view you can view word documents, excel spreadsheets, pages documents and many others but you will still not be able to edit them. Don't expect more than really is there in this cool new feature. Is my machine big enough - Leopard calls for an Intel Mac, Power PC G5 or a Power PC G4 with an 867MHz processor or higher but be careful here. If your machine is on the fringe, perhaps you should be upgrading to Leopard in a new machine..... and if you have a G3..... your are well over what Apple considers overdue. Q: With the new Leopard: does the backup feature require, as I had heard, a dedicated backup drive or can part of an existing external be divided and used? A: Needs an entire partition at lease 1.5 times the size of your drive. You can partition a drive and use one entire partition for Time Machine but with the prices of drives, it really doesn't make sense. I just purchased a 320gb at staples for $99. Time Machine backs up your system files, applications, accounts, preferences, music, photos, movies, and documents. But what makes Time Machine different from other backup applications is that it not only keeps a spare copy of every file, it remembers how your system looked on a given day — so you can revisit your Mac as it appeared in the past. Enter the Time Machine browser in search of your long-lost files and you see exactly how your computer looked on the dates you’re browsing. Select a specific date, let Time Machine find your most recent changes, or do a Spotlight search to find exactly what you’re looking for. Use Quick Look to verify the file’s contents if you wish. Then click Restore and Time Machine brings it back to the present. 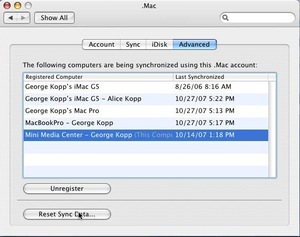 Time Machine restores individual files, complete folders, iPhoto libraries, and Address Book contacts. You can even use Time Machine to restore your entire computer if need be. Beneath the hood, Time Machine is every bit as remarkable as it is on the outside. It’s based on stable and secure Mac OS X core technologies (like the HFS+ file system), automatically tracks file changes, and is aware of file system permissions and user access privileges. Bottom line: It’s working with more information than other backup utilities and doesn’t need to bother you for input. Leopard transforms email into personalized stationery. Notes you can access anywhere. To-dos that change as your errands do. For everything you do with email — and some things you haven’t thought of yet — there’s Mail. Mail for Leopard features more than 30 professionally designed stationery templates that make a virtual keepsake out of every email you send. From invitations to birthday greetings, stationery templates feature coordinated layouts, fonts, colors, and drag-and-drop photo placement from your iPhoto library — everything to help you get your point across. You can even create personalized templates. Messages created with stationery in Mail use standard HTML that can be read by popular webmail services and email programs on both Mac computers and PCs. Ever email yourself a reminder that gets lost in your inbox? Mail lets you write handy notes you can access from anywhere. Brainstorm ideas, jot down meeting notes, scribble a phone number — notes can include graphics, colored text, and attachments. Group notes into folders or create Smart Mailboxes that group them for you. Since your notes folder acts like an email mailbox, you can retrieve notes from any Mac or PC using an IMAP mail service like .Mac or AOL. Opening files is so 2006. So you’re flipping through files in the Finder. But you’re looking for something specific and you don’t have time to open lots of files to find it. Enter Quick Look. It gives you a sneak peek of entire files — even multiple-page documents and video — without opening them. Quick Look works with nearly every file on your system, including images, text files, PDF documents, movies, Keynote presentations, Mail attachments, and Microsoft Word and Excel files. Just tap the Space bar to see a file in Quick Look, or click the Quick Look icon in the Finder window (if it’s not there already, add it by selecting Customize Toolbar from the View menu in the Finder). Then click the arrow icon to see the same file full screen — even video as it plays. A Quick Look back in time. You can use Quick Look to your advantage when you’re searching for files in Time Machine. Once Time Machine locates the file you’re looking for, use Quick Look to verify its contents. Then restore with a click. Now you can actually see your files in the Finder — not just as icons, but as they really look. Using Cover Flow, you can flip through your documents as easily as you flip through album art in iTunes. Cover Flow displays each file as a large preview of its first page, and you can click through multipage documents or play movies. Leopard brings new power to your old friend, the sidebar. Items are grouped into categories: places, devices, shared computers, and searches — just like the Source list in iTunes. So with a single click, you’re on your way to finding what you need. Combine Cover Flow with Spotlight and you’ve got one amazingly powerful search tool. Just type your keywords in Spotlight or specify search criteria, then browse through the search results using Cover Flow. You can easily save your searches for future use. Or use the prebuilt searches in the sidebar, such as Yesterday or All Images. You’ll soon be doing less searching and more finding. With shared computers automatically displayed in the sidebar, you can find files on any Mac or PC on your network. You can even use Spotlight and Cover Flow when you search another Mac. But here’s where things get really interesting. When you click a connected Mac, you can use screen sharing (if authorized, of course) — which lets you do anything you could do if you were sitting in front of that computer. Change a system preference, publish an iPhoto album, or add a new playlist to iTunes. And now, back to my Mac. Ever wish you could get something from your Mac when you were thousands of miles from home? It’s nearly impossible, considering your home Internet provider frequently changes your computer’s Internet address — and your router or wireless base station disguises things further. With Leopard and a .Mac account, it's not only possible, it’s simple. Back to My Mac keeps an up-to-the-minute record of all your computers’ addresses on a .Mac server. So when you’re on the road, you’ll see your .Mac-registered computers in the Shared section of your Finder sidebar, just as they’d appear at home. They’re protected from any eyes but yours — and you can even browse their contents using Cover Flow in the Finder. From the Finder or the menu bar, Spotlight in Leopard lets you search for more specific sets of things. Use Boolean logic to narrow search results by entering AND, OR, or NOT in a search request. Search for exact phrases using quotation marks, or search for items by dates or ranges using > and < symbols. And now you can even use Spotlight to perform simple calculations. Just enter numbers and operators, then hit Return. Very handy. You do a lot on your Mac. So how do you keep order when projects pile up? Easy. Use Spaces to group your application windows and banish clutter completely. Leopard gives you a space for everything and makes it easy to switch between your spaces. Start by simply clicking the Spaces icon in the Dock. You’ll be prompted to turn on the Spaces feature. Then you can organize your spaces in practically no time. Moving from space to space is easy. When you’re in the bird’s-eye view, select the space you want or toggle between spaces using the arrow keys. Even the Dock is down with Spaces: When you click a Dock icon, Leopard whisks you to the space (or spaces) where the application is open. Configure your spaces by visiting the Exposé & Spaces pane in System Preferences. Add rows and columns until you have all the real estate you need. Arrange your spaces as you see fit, then choose the function keys you want to control them. You can assign an application to always open in a specific space, if that’s more convenient — so you’ll always know where, say, Safari or Keynote is.